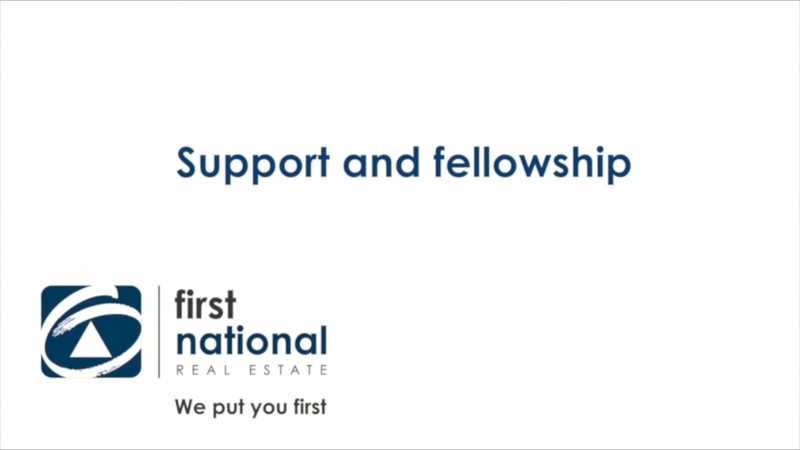 At First National Real Estate ‘We Put You First’. First National allows you to embrace the support and additional exposure that a nationally recognised brand can bring to your business. We are not a franchise, our members are free of the high cost or long contract of a franchise. First National is a marketing co-operative . You retain your profits. We are member driven and owned. A comprehensive technology suite assures First National members maintain their lead over competitors with the most sophisticated tools, digital marketing, social media and mobile responsive strategy available. Driving more business to your door. We have created an environment and business model that fosters genuine sharing of ideas, and values the management input of our membership. Aligning with our crisp, modern brand delivers broad demographic reach, flexibility and powerful, relevant products and services. We put you first - our promise to Australian consumers and our commitment to our members. It’s a defining statement that makes First National Real Estate the outstanding business partner of choice. First National Real Estate offers more than a brand, a philosophy, or a mission statement. Our network offers a unique business proposition that places our members in a position of strength, independence and technological leadership. Allow us to introduce you to the world of First National Real Estate. The network that puts your interests first so your business can reach its full potential. First National has a low monthly flat fee that helps you plan and budget. First National do not take a percentage from your sales commission or property management turnover. You retain your profits. We are a co-operative member driven and member owned for the good of all in our membership. How did FN fee structure help you start your business? First National is a trusted, recognised brand with an established referral system delivering more leads to its members. With over 400 offices, a 3,000+ sales force and 2,500+ property managers, First National Real Estate is Australia’s leading brand and offers real estate professionals the strongest support available. Our national, state and zone awards give you and your team recognition for your achievements.